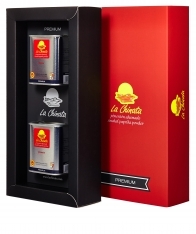 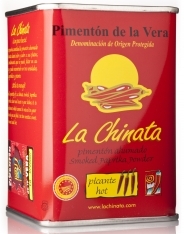 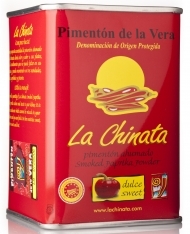 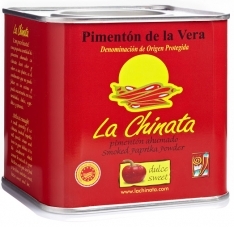 This premium smoked paprika from Chinata differs from the company's classic range because of the care that goes into selecting the raw material. 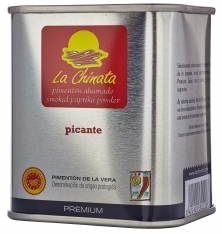 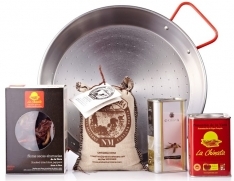 Selected by hand from among the best in Spain, each pepper is carefully chosen for its flavor. 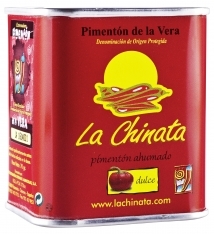 As a result, a deep red color and a deep flavor characterize this paprika, probably one of the best peppers in the world. 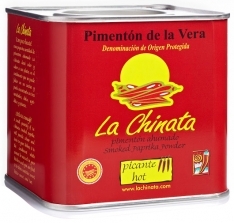 In Spanish, this is called Pimentón ahumado dulce premium La Chinata.